The new Ghost In The Shell movie is just a few months away, and excitement for the release is definitely increasing. The film, which is based on the popular manga and anime series of the same name, will be released on March 31st this year. The film is not only notable for its source material and outstanding trailer, but for its star Scarlett Johansson. Johansson, who was recently named the highest grossing actress of all time, is best known for her roles as Black Widow in the Marvel Cinematic Universe, the eponymous heroine in the film Lucy, and the digital personality Samantha in the film Her. In the upcoming Ghost In The Shell, she plays the main protagonist known as The Major, the cyborg leader of the special operation force Sector 9. 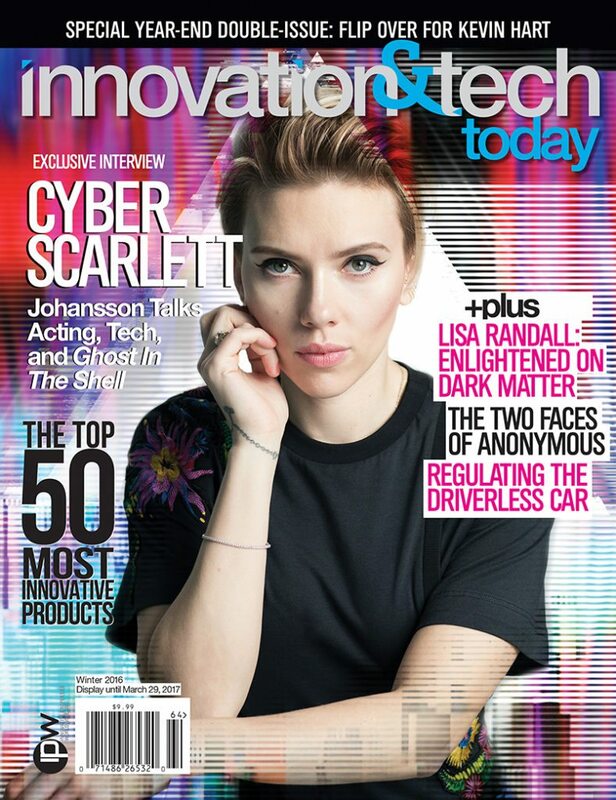 For the winter issue of Innovation & Tech Today, we got an exclusive interview with Johansson to speak about how she prepared for her role as The Major, the role cybersecurity plays in film, and her classic theater experience. Additionally, we discussed the complex relationship humans have with technology and even her favorite film robot of all time. In order to read our exclusive interview along with a conversation with Josh Brolin, a review of the most innovative products of 2016, and an inside look at the online group Anonymous, subscribe to Innovation & Tech Today physically or digitally.